The Brook Trout is the only Trout native to North Carolina. Brook Trout prefer clear cold water with moderate current over gravel, rocks or sand. Many NC anglers refer to Brook Trout as “specks.” In the wild, these fish rarely exceed 10 inches and are most likely found in isolated headwater streams. The N.C. record for Brook Trout is 7 lbs.- 7.oz. Fishing dry flies, streamers and nymphs that imitate natural food items works well. 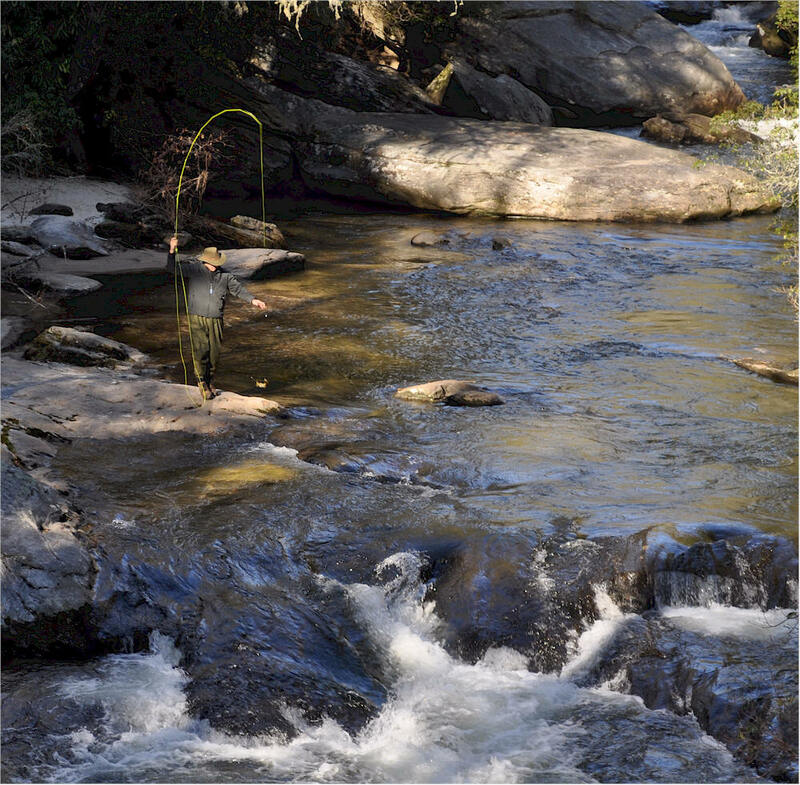 Rainbow Trout are mostly found in high-elevation streams in western North Carolina and are common in North Carolina's mountain streams. 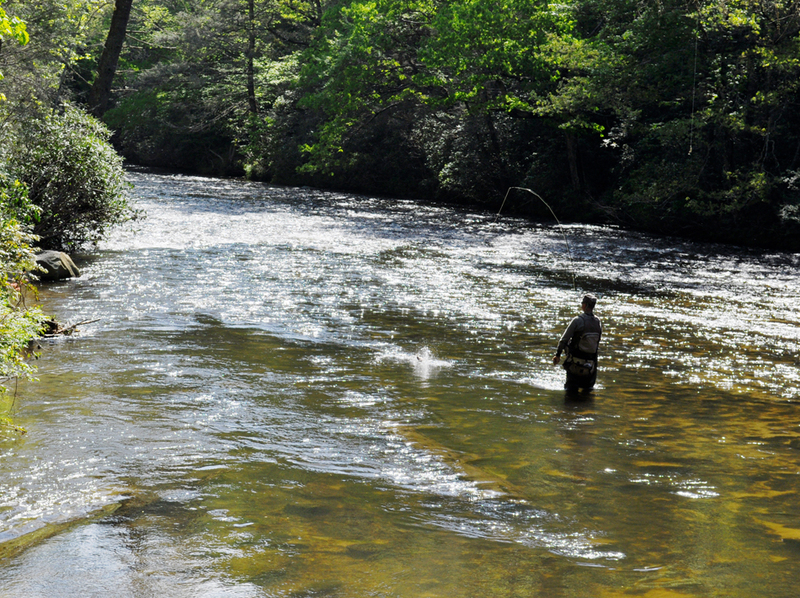 In Highlands & Cashiers, the upper portions of the Cullasaja & Chattooga Rivers are popular. NC Rainbow Trout prefer generally clear flowing waters with turbulence for oxygenation over gravel, rock or sandy bottoms. The North Carolina State Record for Rainbow Trout is 20 lbs.- 3 oz. Fishing dry flies, streamers, and nymphs that imitate natural foods works well. Brown Trout are located primarily in western North Carolina and can be found in slightly warmer water temperatures than other trout species. Brown Trout are often reclusive, hanging out close to underwater structure, such as fallen trees and undercut banks. 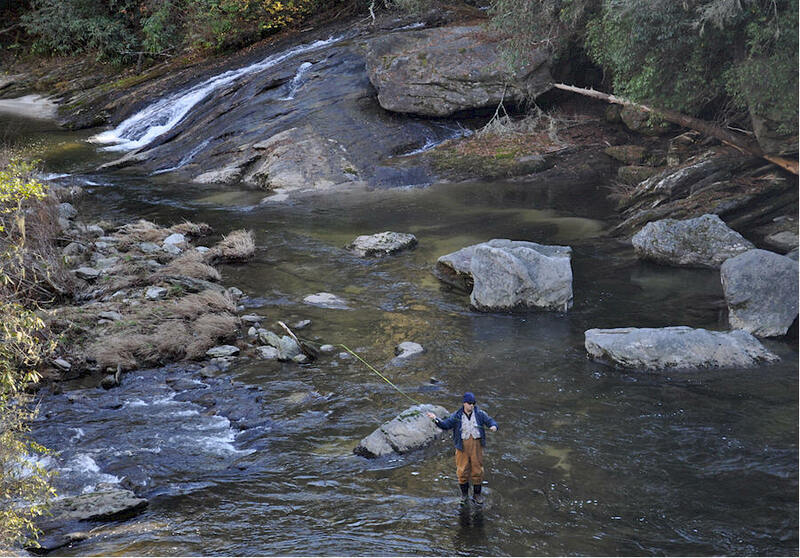 In Highlands & Cashiers, the mid to lower portions of the Cullasaja & Chattooga Rivers are popular. The North Carolina State Record for Brown Trout is 16 lbs. - 5 oz. Fishing dry flies, streamers, and nymphs that imitate natural foods works well. 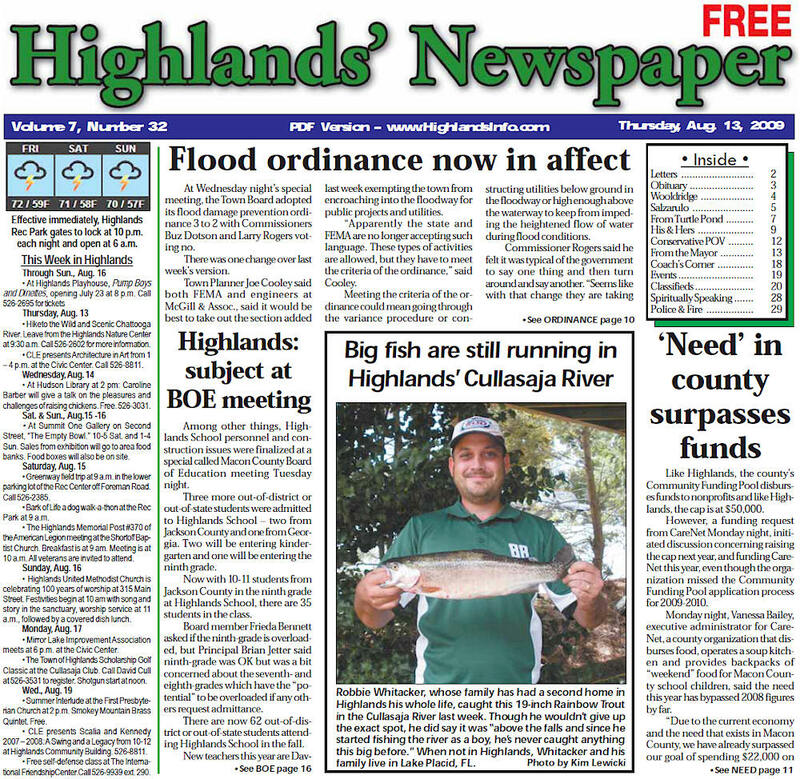 Tell us about your fish story & it will be in the Highlands' Newspaper - Our areas most read & circulated publication.